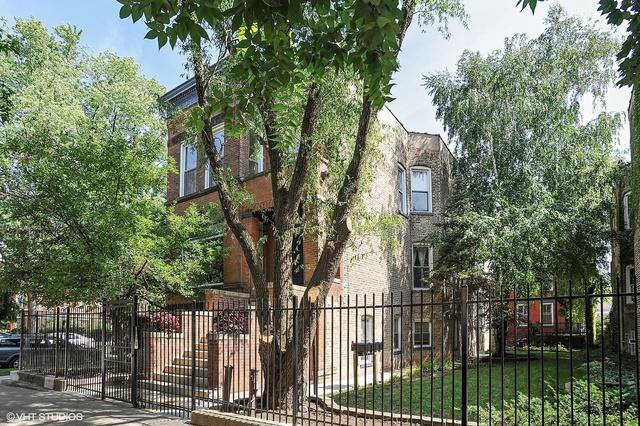 Huge, stunning light filled vintage space in corner building on premier tree-lined Wicker Park block with beautiful view of private yard. Not your typical big box condo. 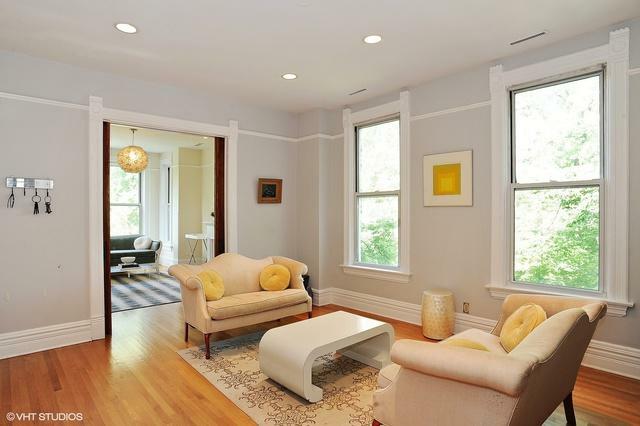 Loads of character with high ceilings, fireplace, crown moulding, pocket doors, and exposed brick. Open kitchen/eating area has Viking appliances, walk in pantry, and separate home office. Hallway has grand walk-in closet for extra storage. Two outdoor common spaces including large side yard and private oasis brick patio back yard, great for entertaining. The unit includes private 23x19 studio space above garage that can be used as office space, art studio, music room or hobby room. 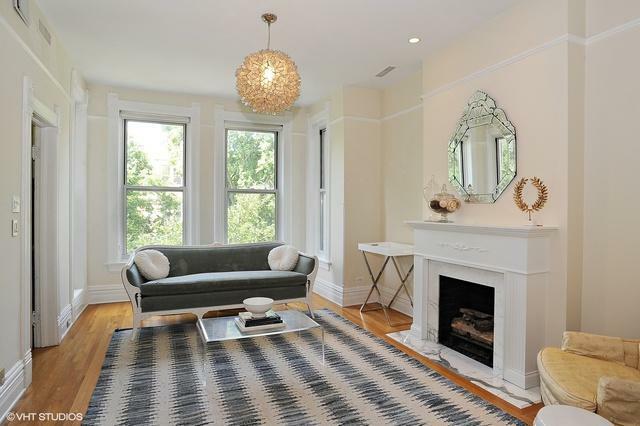 The condo is perfectly located near numerous shopping districts, including Division street and Damen/Six Points restaurants. Steps to L and bus lines. 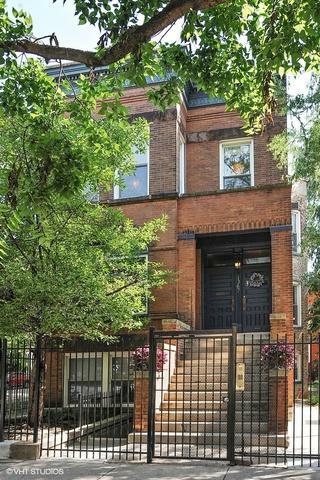 One block from Wicker Park. In-unit washer dryer, central air. Garage parking space included.